The life of a freelancer is tough. As a developer it is even tougher to be a freelancer because freelancing needs lot of non technical skills. Developers can be confined to programming but freelancing involves a lot more than only programming. 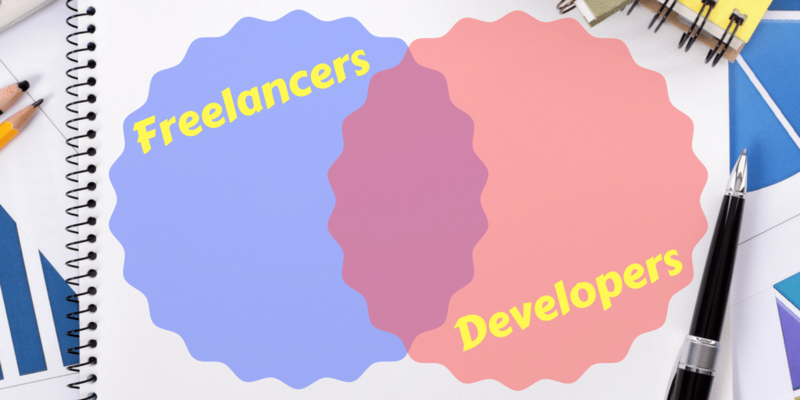 Let me share 7 things developers need to be a freelancer and a solopreneur. You should love being a freelancer and thrive under pressure to get things done alone. Money can drive you initially but it will not drive beyond a point. Don’t want to be working under a boss or manager doesn’t mean you need to be a freelancer but it means you need a new job. As a freelancer, you need to love the lifestyle of a freelancer. Life of a freelancer is not easy when it comes to balancing the work and personal life. It may look beautiful to be working from home but it is tough to be able to work from home. Love programming, love debugging but more importantly love for being a freelancer and there is no substitute for your love to be a freelancer. I have met developers who make between ₹10,000 ($150) to $10,000. Yes, I know developers who have formed companies around their technical skills and make more than $10k. If you have a positive attitude, you can always learn the needed skills. It doesn’t matter if you know only basic of PHP or an advanced PHP PHP developer or a node.js developer, what matters is the attitude and willingness to learn the needed skills to be a freelancer, solopreneur and an entrepreneur. Freelancing needs lot more discipline than doing a job. Work can easily move into your personal life. You need to develop habits and have a lot of discipline to be able to work as a freelancer and work from your home. You can start too early and end the day too late and continuously work which can become too tiring too soon. You need to be able to escape and disconnect from the connected world of email and social media when you need to and when you want to. This can only be achieved with discipline and good habits. Overseas clients work hours are often when you are calling off for the day and you should not only let them know about it but remind them often. All time aren’t equal for a freelancer. At times one will make lot more money and then there will be a time when you will make less than you expect or at some point will have more clients than you can handle and then there will be a time when you are looking for new clients. The life of freelancer has ups and downs than being an employee. When chips are down, one should be willing to put in extra efforts and use the time to develop new skills that can help grow in future. Developers willing to be a freelancer should be ready to learn and move on from one technology to other faster than ever. 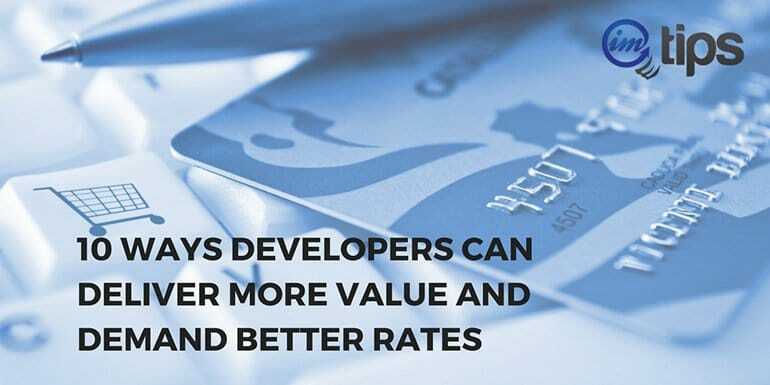 PHP developers are in lot more demand than C++ developers when it comes to freelancing. Node.js may soon become a hot topic and you should be ready to make a move from C++ to PHP and then to Node.js or something else. Here is a list of the most popular programming languages for 2017. Go (also known as golang) by Google is gaining lot of popularity. Similarly swift by Apple is gaining popularity and so an Android developer should be ready to move on to iOS and swift programming and vice versa. You are not married to a technology and should be ready to make a move. The best part of being a freelancer is, you choose what you want to be working on but that’s the toughest part as well. There will be no one to let you know what may be the right choice of direction for your freelancing career. So you can end up working in a technology that may not be too much in demand. May need to start all over again and make a move in a totally new direction. I have seen it is too tough for people doing a job to start all over again but as a freelancer, you should be ready to start all over again. Knowledge is power as a freelancer because once you start again, the path you chose will be based on your understanding of what may work in the future. So it is important to keep expanding your worldview to be able to take the right decision. As a developer, you write code. As a freelancer, the sole responsibility is not only confined to development but the complete process from client interaction to deliverables to getting paid. Even the deliverables can include other than development aspects like design, hosting etc which may need outsourcing. Marketing is not natural to developers but as a freelancer one should be willing to wear multiple hats and marketing hat is one of those difficult hats that one should be willing to wear.